When you start with your first blog or a first business website, you don’t have many experiences. First you have to learn SEO in general, content writing, right plugins. Then after a while you may find that it’s possible that Google can penalize your site just because you didn’t set the right SEO settings. After a while you get to know the tools that can improve various aspects of your website. And the problem is that the list of the tools keeps growing. Which tool is the right to help you grow your visitors? Oh, what do most website owners miss after first 6 months? What is missing is traffic. If you are writing without proper keyword research you are missing on a potential traffic. And here is where SEMRUSH comes into play. Maybe you heard of SEOQUAKE before, SEOQUAKE is a browser plugin for competitor analysis create by the same company. SEMRUSH is the right tool if you plan to grow your blog. And the best thing is that it can help you with so many ways you wished you got to know it sooner. Perhaps you don’t know but there is huge opportunity to rank your website high and drive huge traffic to your site. How? Read Semrush review to find out more. SEMRUSH is a tool you can’t live without once you start using it. There are so many features that if used, you can easily replace most of the services you use for your website monitoring/optimizing/keyword research…. This tool is so amazing. I will try to show you the the best features. Once you enter domain, dashboard shows you all the information about this website. You will see Organic search information, paid search information, backlinks, advertising, keywords position in a nice graph (organic and paid), top organic and top paid keywords. 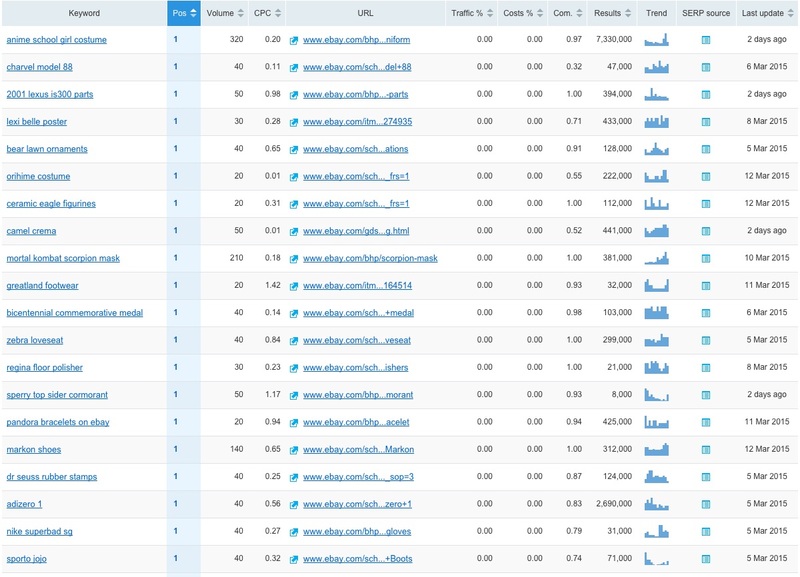 In addition, you can easily see keyword position distribution and top keywords. One feature that stands out is competitors comparison. Why having competitors data so important? First, you can see who your main competitors are. When you know that, you can analyze their backlinks. Once you have backlinks information, you try to obtain backlinks from the same sources. If you do that, they will lose the leverage. You can also find their keywords and best of all you can find low competition keywords you didn’t rank before. Once you have this information, you can write articles on that topic and get additional traffic. Competitors MAP shows you your main competitors. Knowing your competition is important. Not only to know who they are, but to check what they are doing better than you. Is it the content, on site SEO, backinglings from powerful websites giving them the edge over you? Checking your competition for keywords has two benefits. What I love about this report is that you can easily sort any information, just like in Excel. For example, if you would like to see only keywords where competitor is ranking on first position, you would click on a keyword tab and you would see only keywords that are on first position. If you are interested in the search volume, you may sort keywords with the highest search volume.You may be interested in advertising competition so you would use Com. and CPC columns. You can see which keywords competitor is ranking high in the Google search. You can find high ranking keywords with the high search volume. By analyzing the page, you can outrank competition. It may not be easy and you would have to put some effort into quality of the content but it’s possible to get decent traffic for a keyword quite easily. You can use SEMRUSH to monitor competitor Adwords campaign. You can easily find the keywords they used, Paide search position, CPC value, referring url, Traffic, costs, competition, Results, SERP source and what is best, you can see the trend of the keyword. By using Organic research you see how your keywords fare in Google search. 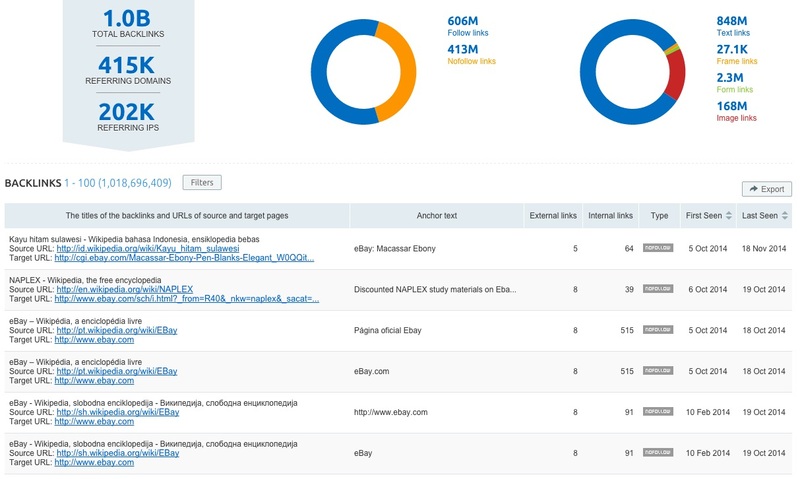 You can see position, search volume, url, estimated traffic, Cost and Results. Google Keyword planner is great free tool but Google is keeping the good stuff away from you. Unfortunately you can’t rely on Google Keyword Planner for SERP analysis and you have to use additional tools to get accurate results. SEMRUSH has a tool called Keyword Difficulty where you can perform analysis on your keywords. You will easily see keyword competition, volume, results and most importantly a trend, all part of the SEMRUSH. With Google being more strict about onesite website SEO every year, it’s really important to have your website optimized 100%. Friend was hit by the Panda recently. He put a lot of effort into optimization and thought he had it right this time. He challenged me, if I can find some issues with his site he would buy me a beer. I ran SEMRUSH and it immediately spotted several issues. What you see now, is semi optimized site after he received my SEMRUSH SEO report. He fixed most issues but he has a plan to make his website more friendly to Google search and search engines in general by using SEMRUSH report. While you could see only warnings on the picture above, before the first repot he had some serious issue. He had even the most basic – alarmatic SEO issues. For example duplicate H1 titles. When used, Google could think you are trying to over optimize your website and could penalize you with Panda. His site was also filled with duplicate content which was easily fixed with Yoast SEO plugin. What’s more, SEMRUSH Site Audit managed to find many more serious SEO issues. Internal links were broken, internal images were broken, massive duplicated content issues (website could be penalized by Google Panda), external links were broken, duplicate titles in the content, duplicated meta description, 404 error on one page, problems with robots.txt. It’s easy to think that your website has great onsite SEO but only a good analysis can show you how many issues you have. Bad site SEO can make your great content rank low, even more dangerous is Panda penalty – for some stupid reasons. Oh, did you know that website SEO audits can cost $800 and even $1600? Most problems can be prevented with SEO Onsite audit. One of the tools that are part of SEMRUSH is also keywords tracking. Keyword rank tracking services are premium solutions. Pricing for good solutions start at $20, and that is for 20 keywords only. Luckily, if you sign up for SEMRUSH, keyword rank tracker is integrated in the service. You have to enter domain and location – In my case, I used USA. You can also use mobile device and add competitors. When tracking your position of your website you can also track position of competition. Once you setup your domains you can sit back and watch keywords positions as they change. You can also schedule reports to your email. SEMRUSH has a huge links base and you can really use it to your advantage. Why Semrush is so important for your success? First let’s take a look who may take advantage of SEMRUSH. When I started with my first blog I had many onsite issues, which I found only after I was hit by a Panda. SEMRUSH can help you find you problems easily. Also, it can help you with keyword research so that you will start getting some traffic. Professional bloggers revenue depends how well the site performs. You have so many great tools inside SEMRUSH. That means you only have to pay for one service. You can easily cancel subscriptions to: rank tracking services, onsite SEO analysis, keyword research services, backlink analysis services and use only SEMRUSH. In the end you will save money by having all the services under one umbrella. You can optimize your AD spending and increase revenue and decrease advertising cost. In addition the previously mentioned benefits. I recommend trying out SEMRUSH. It can really help you with SEO issues and finding right keywords to drive additional traffic. You can start without registering and you won’t need a credit card to try out basic functionality. Great service, many features, great support. Many tutorials, including Videos, Webinars, knowledge base and blog articles. It costs money. For some it may be expensive. On the other hand you can choose from many plans which can enable bloggers to start with the great service. If you can’t afford the service, there is a free mode which is limited but can still help you. Summary: SEMRUSH is great service which can help you drive more traffic, spend less on various services, increase website traffic, fix SEO issues and so much more.